The dominoes are falling. 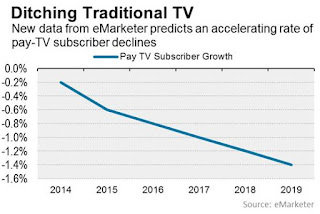 Traditional TV is supported by ad revenue. 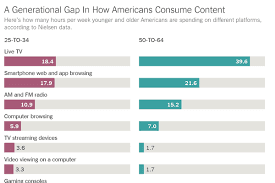 But the eyeballs, especially the younger ones, are migrating away from TV in statistically and financially significant droves. 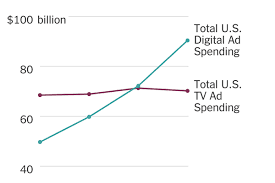 Which means the ad dollars (and euros, yuan etc) are following them. 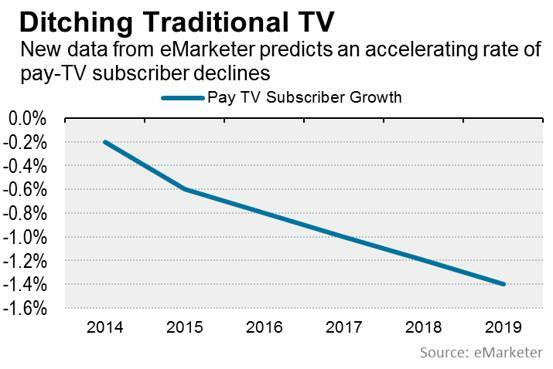 And as if that weren't enough, marketers are reducing the number of TV ads per show because a population grown accustomed to fewer ads on their entertainment option of choice won't stand for advertising interruptions at a rate of 14 minutes out of every 60. 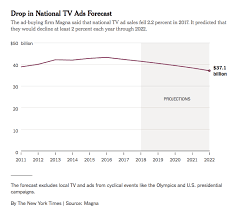 Television networks will draw hordes of advertisers to New York City for their annual bonanza of presentations and parties, a decades-old tradition known as the upfronts that is meant to dazzle marketers and loosen their purse strings. Companies love digital advertising because it gives them the ability to target ads based on their own lists of customers — like holders of store loyalty cards — and profiles like “first-time car buyers” or “people who like foreign travel.” And they want that kind of capability on TV, too. That desire has prompted four competing media companies — NBCUniversal, Turner, Viacom and Fox — to work to standardize the language and some of the data sets that they use, hoping to make it easier for brands to buy cross-platform advertising with them. He added, “At the end of the day, you’re following the eyeballs, right?